Well, Game feast starts next Wednesday, and we here at BrainLazy are doing our best to get our hands on as much info as possible about the titles Microsoft has got lined up. The good news is, I’m here to confirm that we’ll be presenting a hands on review of Hydrophobia. The bad news is, you’re going to have to wait until Monday afternoon to read it. We got a little taste of this game back at PAX East, and it made an impression on us. Now that I’ve seen the screens and assets, I can’t wait to dig in. I’d start spilling the beans now, but us journalist types have a little thing called an embargo to deal with. So if you are interested, check back at 12:01 PM on Monday to see what we thought. 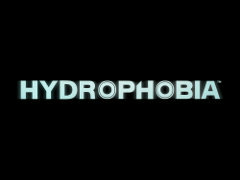 Hydrophobia is developed by Dark Energy Digital, and it releases Sept. 29th on XBLA for 1200 points.